Word play helps kids love language, it inspires writing and helps kids learn new vocabulary. 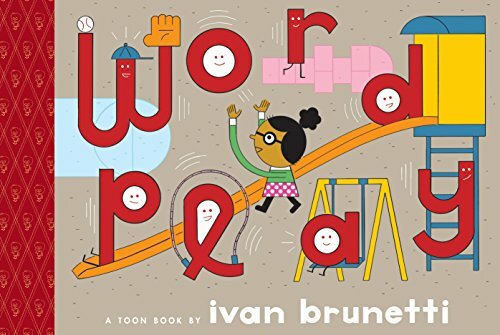 Celebrate the love of words in these best, playful picture books all about words. 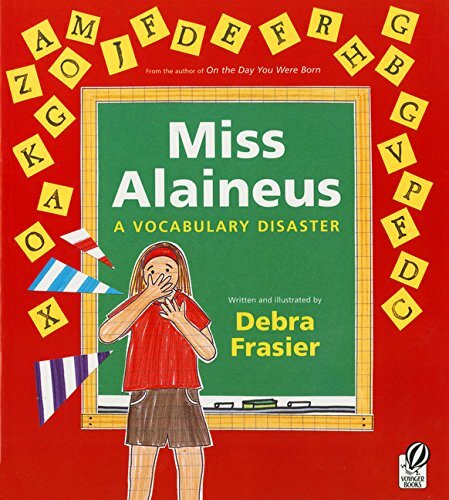 The subtitle of this book reads, “All the letters that misbehave and make words nearly impossible to pronounce.” Get your kids, sit by the fire, and prepare to enjoy a celebration of words with surprising pronunciations that don’t follow the standard phonics rules. 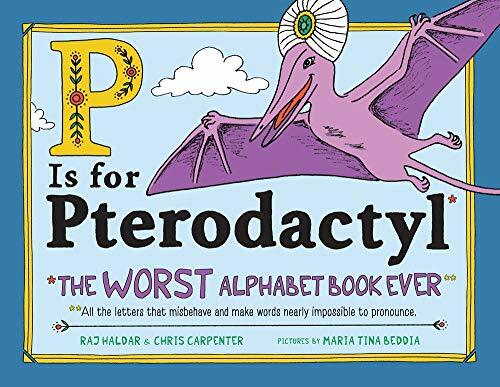 In this book, “A is for Aisle” and “H is for Heir“. So fun, right? Below each letter and illustration is a sentence describing each word like, “M is for Mnemonic. // But now Mr. M. can’t remember why.” Isn’t this a delight for readers and writers of all ages? 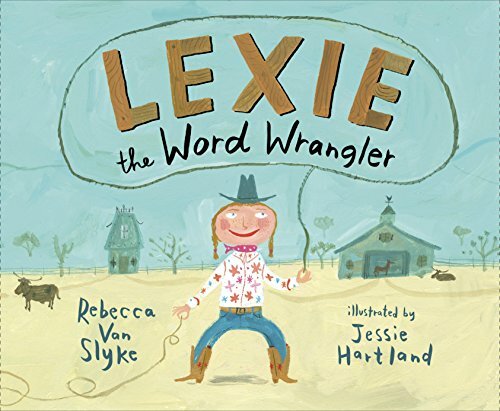 Lexie’s a word wrangler, a cowgirl who mixes up fresh words each morning like corn and bread to make cornbread or turn an annoying pest into good pets. But someone is stealing letters and words from her ranch. Instead of a rainbow, she only sees a bow. Will she catch the sneaky word rustler? A thoroughly delightful adventure! Budding wordsmiths will love reading these most interesting words that don’t translate into other languages. Words like the Icelandic “gluggavedur” which means “window weather”, “weather that looks beautiful while you’re inside, but is much to cold when you step outside.” I especially love the Japanese word “nakama” that means “friends who are like family”. Each word is defined and illustrated with text that explains further context and meaning. 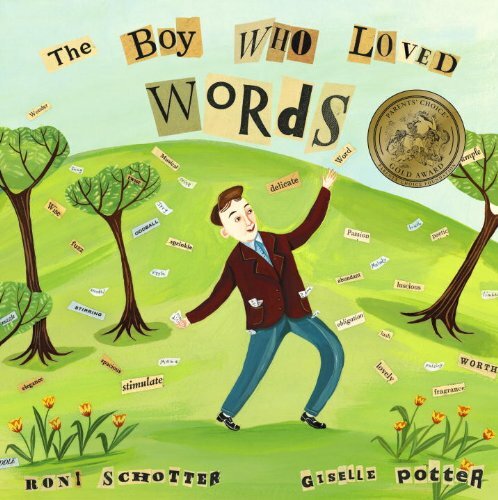 Get inspired by this book about a boy named Jerome who loves words so much that he collects them! As he collects, Jerome notices the beauty of pairing words unexpectedly. Then, he realizes that he must share the words with the whole world. 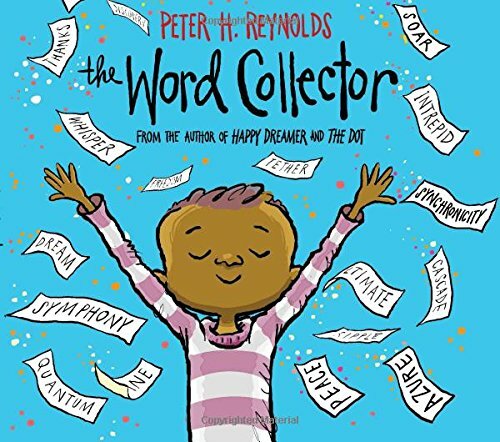 Use this beautiful book to inspire your own word collections. It’s both hilarious and impressive to read a mystery adventure written in alliterative sentences. 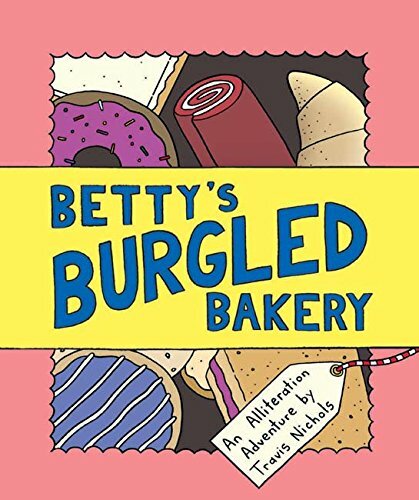 Betty has enlisted the help of the police to solve the crime of who burgled her bakery. And you’ll never believe who did it!! 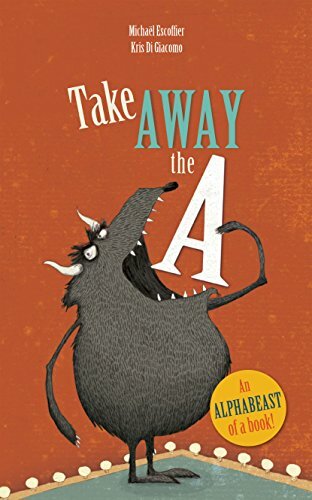 Sure to be a new read aloud favorite, especially for teachers to use in writing workshop. 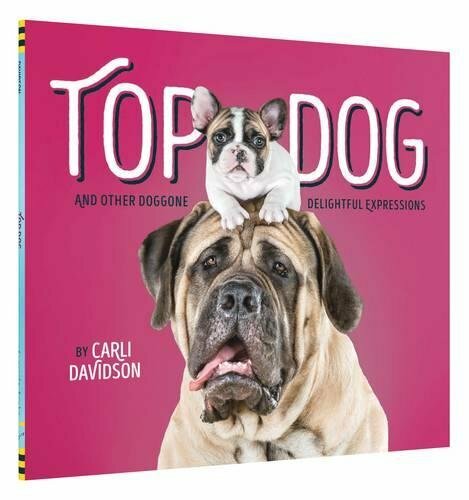 You don’t have to be a dog lover to love this fun book that gives you all lots of dog-ish expressions with photos of the cutest dogs EVER. “Working like a dog. / Raining Cats and Dogs. / Dog and Pony Show.” Each page is framable because these photographs are stunning! Added to Favorite Dog Books for Kids. In this simple graphic novel, a teacher helps her students learn about compound words. The kids excitedly think of lots of compound words even at home. This punny book is very clever. When E takes a tumble down the stairs, in order for E to heal, everyone must stop using her in all their words. 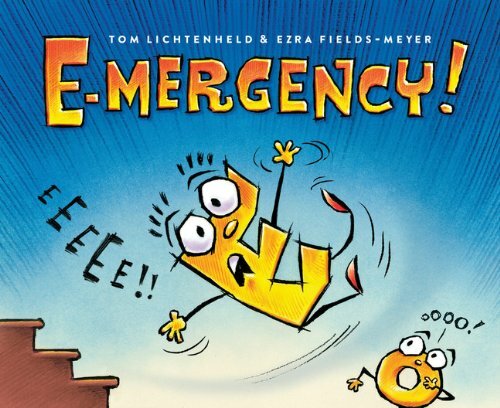 O (who is so well-rounded) takes her place making this book hilarious and quite challenging to read out loud! AftOr all, wO usO thO lOttOr a lot! But, E doesn’t heal. Is someone still using the letter E? Like THE NARRATOR!? Hmmm. . .
What happens when you remove the letter A? Well, Beast becomes best. How about the letter D? Dice becomes ice. Super funny with an unexpected plot! When a cold results in a hilarious and embarrassing misunderstanding of words, readers will delight in language, especially synonyms. 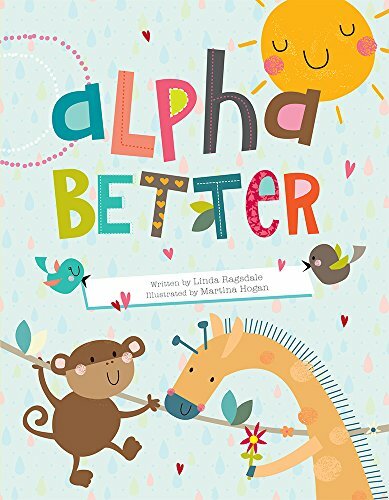 You’ll love this playful alphabet book full of positive, fun invented words that are combinations of other words. What will you find on the C page? How about choolo (choose + love) and charvelous (charming + marvelous). 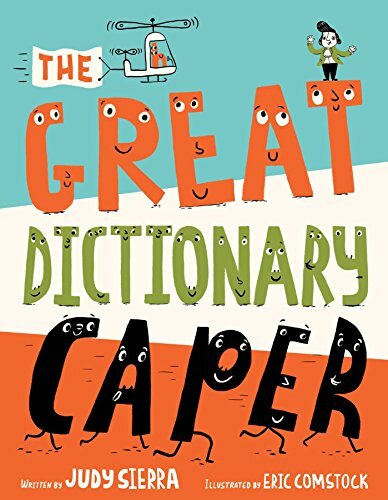 Sure to inspire many playful inventions of your own as well as new additions to your every day vocabulary. This biographical story is an important piece of American history that kids should know — it’s fascinating. 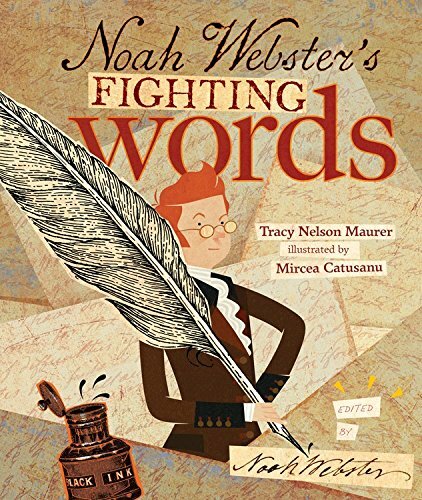 The narrative includes “edits” from Noah Webster himself which make this lively story even more interesting. The illustrations are absolutely perfect — in style and in color. Bravo for organizing words! Anagrams are words that when mixed up spell different words or phrases using all the letters. The authors make it easy to tell by putting the anagrams in similar fonts and tell the story of a mixed-up word world. This would be a fantastic book for an elementary classroom. There are multiple ways to begin your own collections. Find a special container such as an empty jar like you see above. Cut out words you LOVE in magazines. Write down words that INTEREST you on note cards. Be on the look out for UNUSUAL words in signs. Take photos. Use sticky notes to write down FAVORITE and WONDERFUL words in the stories you read — picture books or chapter books. Keep organized with a notebook or container. Make up silly words of your own! Take two words and combine them together. Write found poetry using your new words. Play these five favorite word play games! What are your favorite things to do with words?